Bair Hugger MDL Coming Soon? The Bair Hugger lawsuits are going poorly for plaintiffs. Should you bring a claim if you believe you suffered an infection from a Bair Hugger during surgery? Decide for yourself. But in spite of some early punches to the face for plaintiffs, there is a still a reasonable chance these cases end well for plaintiffs. Let’s talk about these cases, what there are, where they are going, and what are the prospects that the 3M Bair Hugger cases reach a settlement. Bair Hugger Forced Air Warming Device is designed, manufactured, and marketed by Defendants 3M Company and Arizant Healthcare, Inc. There are more than 50,000 Bair Hugger FAWs in the United States. How does it work? The Bair Hugger is a portable heater/blower connected by a flexible hose to a blanket, typically positioned the patient getting surgery. Keeping a patient warm is particularly useful during knee and hip replacement surgery because the procedures tend to be very long. The body loses heat increasingly over the course of surgery. Another thing about metal hip and knee replacement surgery is that your body is particularly prone to infection. Why? The metal helps spread the infection. So if you are not already familiar with this litigation, you know where this is going. The device is blowing bacteria on the patient. These germs are expelled from the interior of the Bair Hugger FAW blower by the outward airflow, traveling through the hose into the disposable blanket and escaping all over the operating table and the patient. If bacteria in a surgical site is not bad enough, the metal helps grease the wheels of further infection. I said just 50,000 of these Bair Huggers are operational. How many operations are done with this device? One estimate puts the number of surgical procedures using the Bair Hugger at over 100 million. These will likely be thousands of lawsuits. At the core of these claims will be the idea that the design of these blowers was flawed. Given the risks of blowing bacteria in the surgical area, plaintiffs’ lawsuits allege that the Bair Hugger should have been designed to prevent internal contamination and the emission of airborne contamination. One big problem for 3M is going to be a study that found that 96% of the Bair Hugger systems were dispersing inordinately excessive levels of contaminants. This will also be a “what did you know and when did you know it?” lawsuit. Plaintiffs’ lawsuits will also contend that setting aside the design failure and the failure to test, the manufacturer knew or should have known of the risk of infection the Bair Hugger was causing and did nothing about it. Plaintiffs’ experts have concluded the Bair Hugger can cause deep joint infections in exposed patients. They believe Bair Hugger creates convective currents that carry bacteria-laden particles from near the floor to the surgical site. Plaintiffs’ experts’ opinions rely on a comprehensive search of the relevant literature, their own independent experiments, review of the combination of numerous sources of evidence, and internal 3M documents to conclude that the Bair Hugger transmits particles and bacteria to the surgical site. I’m using the phrase “class action” but that is not really what we have in this case. They are more of a “sort of” class action called an MDL. All of the cases federal Bair Hugger cases are consolidated into one case under one federal court judge. There are also state court cases — about 60 — that have been filed in Minnesota state court. They can be filed in state court in Minnesota because 3M is based in Minnesota. The Minnesota cases have been dismissed because the state court judge found that there was not scientific evidence to support the claims. This is a really tough blow for plaintiffs. But the federal court is going to accept the general science of these claims. Pre-trial discovery into issues common for the 4,000 federal court cases has been concluded. 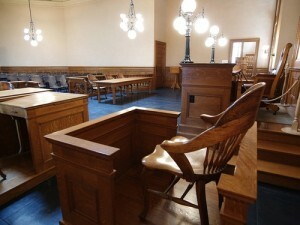 Typically, the MDL judge will preside over a few trials to help the parties better understand the value of the claims. If that does not lead to a global settlement, the cases would be sent to local federal courts around the country for pre-trial discovery specific to that case and then to trial. The Bair Hugger cases are not going well. The way an MDL works is that the MDL judge picks cases to go to trial. These case are called bellwether cases because they are expected to predict the future outcome of cases. How the bellwether cases get chosen can be complicated. But these cases are used to predict value. If you use the bellwether cases to predict the settlement value of the 3M Bair Hugger cases, you would say that the settlement values of these cases are not looking very good. Plaintiffs have gotten hammers so far. Of the cases set to go to trial, many have been dismissed by the plaintiffs before trial, which is never a good sign. Plaintiffs lost the one trial that has gone forward. Let’s get credit where credit is due. 3M is litigation savvy. Look at this effort to dissuade new plaintiffs. If you land here before you land on this page, you might never call a lawyer. Our law firm is still signing up clients for this beleaguered MDL class action claim. Why? Mass tort cases sometimes get off to awful starts for plaintiffs but turn around. Our focus is on knee and hip cases where the victim needed to undergo subsequent treatment or subsequent surgery for an infection, call us at 800-553-8082 or get a free consultation online.